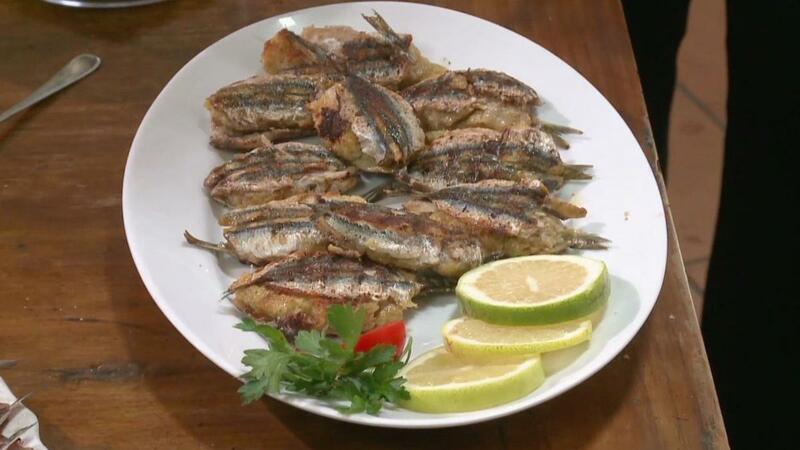 Italian wine word association; Stuffed Sardines with Chef Salvatore Giordano in Sicily; more Italian wine 411. This series takes viewers on a fast-paced tour of Italy’s limitless food and wine, from the Alps to the southern shores of Sicily. Whether touring a cheese cave that was once one of Mussolini’s bunkers, hunting for the elusive white truffle, exploring Napoleon’s wine tunnels, visiting a Slow Foods superstar in her humble kitchen or going 20 meters underground to the very roots of one of Italy’s most celebrated wine varietals, host Vic Rallo brings a unique perspective to the traditional format of television cooking series.